Did you recognize those lines from Willy Wonka and the Chocolate Factory? Violet Beauregarde was delighted by the gumball whose flavours mimicked a three-course meal. The movie was filmed in 1971 and the idea might have been fanciful at the time. But these days, I wouldn’t actually be surprised to see a similar product on the shelves (though whether I could bring myself to try roast beef flavoured gum is another story). Added flavours are everywhere, “enhancing” food products with a bit of extra kick. They can be natural (e.g., real vanilla bean) or artificial (concocted from synthetic chemicals in a lab); though artificial flavours are usually cheaper and therefore more abundant. That’s why I so was surprised to find natural vanilla flavour lurking in my pastel-coloured Easter eggs. Flavours might be added to foods to make them more palatable and enticing (think vanilla yogurt) or to enhance flavours that perhaps should be present, but aren’t (think strawberry flavour to stretch the real strawberries in strawberry yogurt). What deceptions food scientists concoct are amazing. You can taste vanilla where there’s no trace of the expensive chocolate-coloured bean, and buy gum that tastes like peach wrapped in mango wrapped in peach. 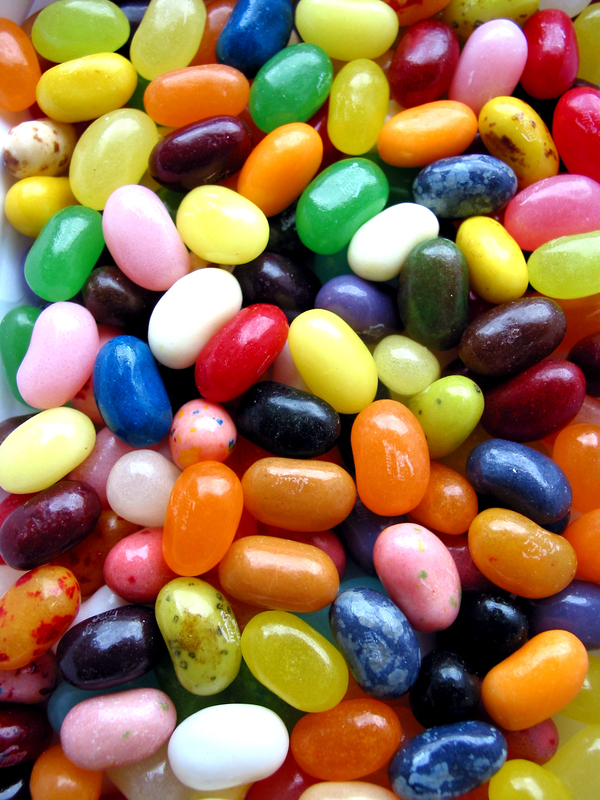 And let’s not forget Bertie Bott’s Every Flavour Beans, the fantasy jellybeans that were brought to life by Jelly Belly. They’re in too many products, and it’s not always obvious which ones (in the link above, the gum says “With REAL fruit flavour!” on the front, followed by a tiny asterisk indicating “naturally and artificially flavoured”). They could often be replaced with natural flavours. They deceive your taste buds and acclimatize them to super-flavours, making “real” foods taste bland in comparison. Basically, I feel using artificial flavours is cheating. It’s like sprinkling your food with MSG instead of bothering to tinker with salt and spices. And from my recent searching on PubMed, it looks like artificial flavours are poorly researched (even vanillin, also known as artificial vanilla extract, which is used prolifically by commercial and home cooks alike). Now I know better – real food gives your body real cues of satiety. I have so many fewer cravings now that I satisfy them with real food, rather than fake ones. What products in your cupboard surprised you with artificial flavours?